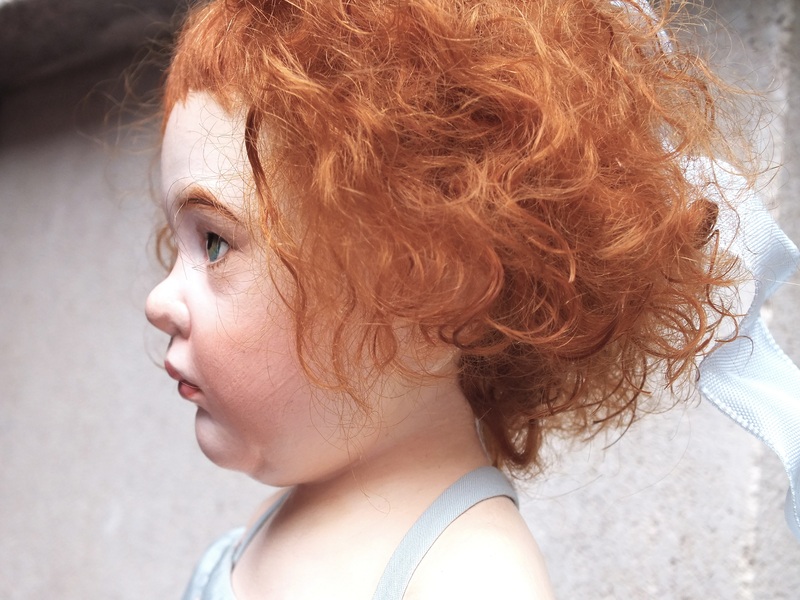 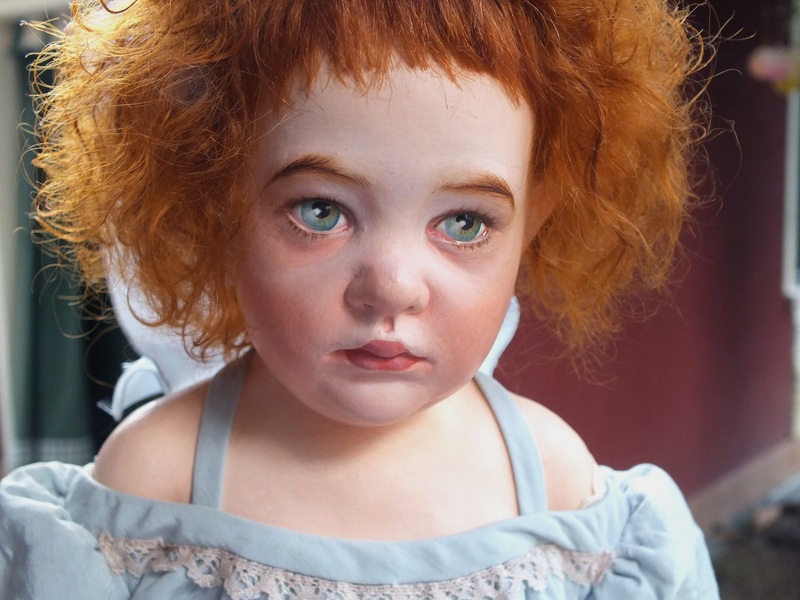 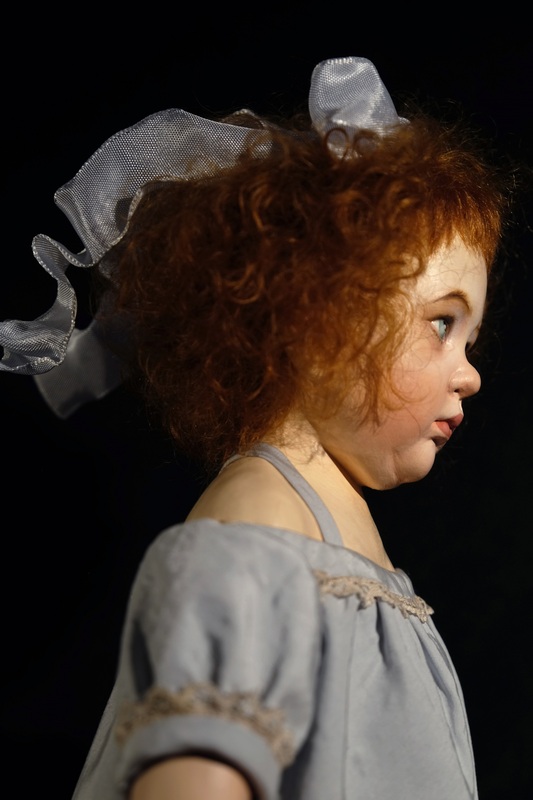 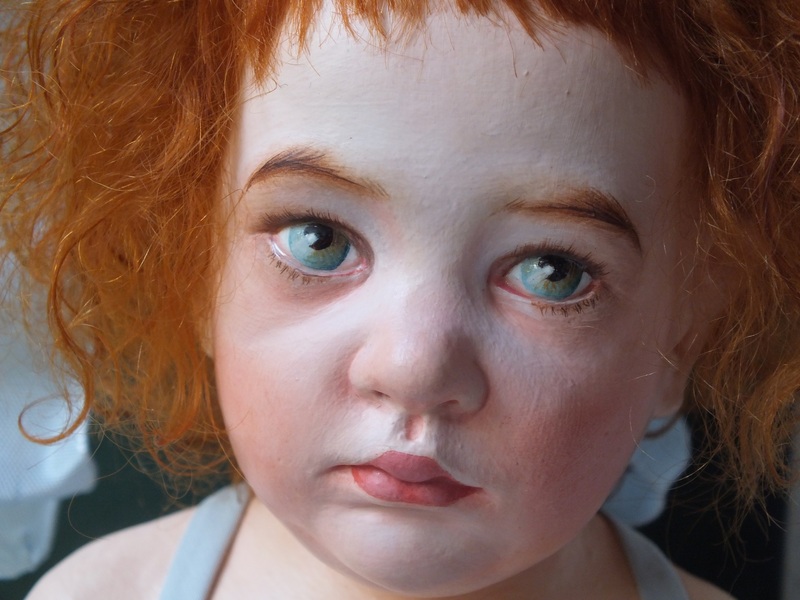 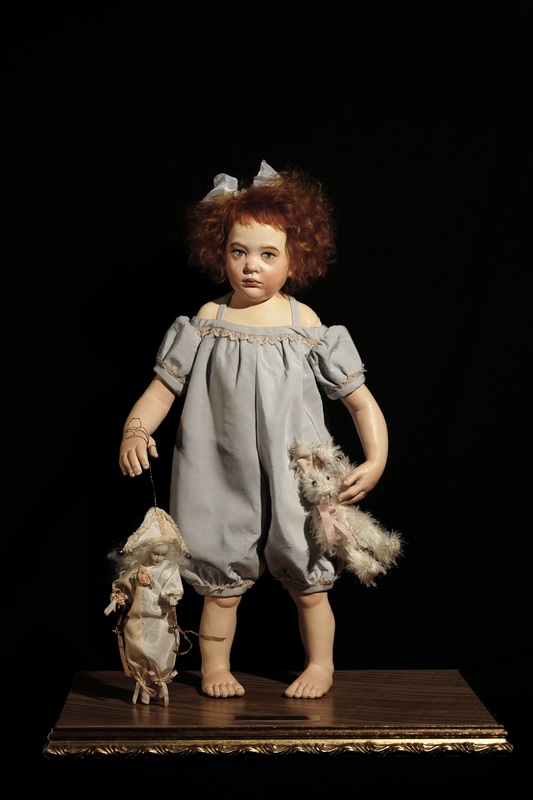 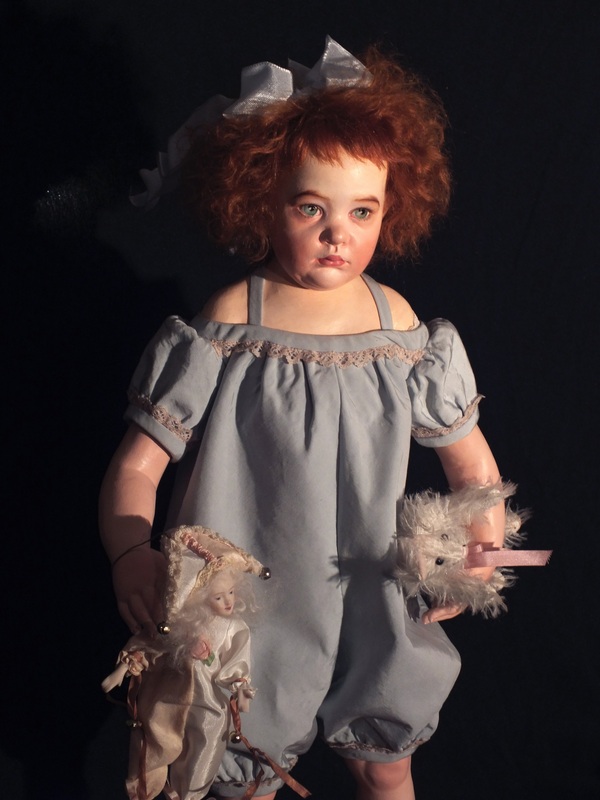 This is a handmodeled artist doll made in terracotta (Goerg & Schneider fired at 1200°) and 17 inches high. 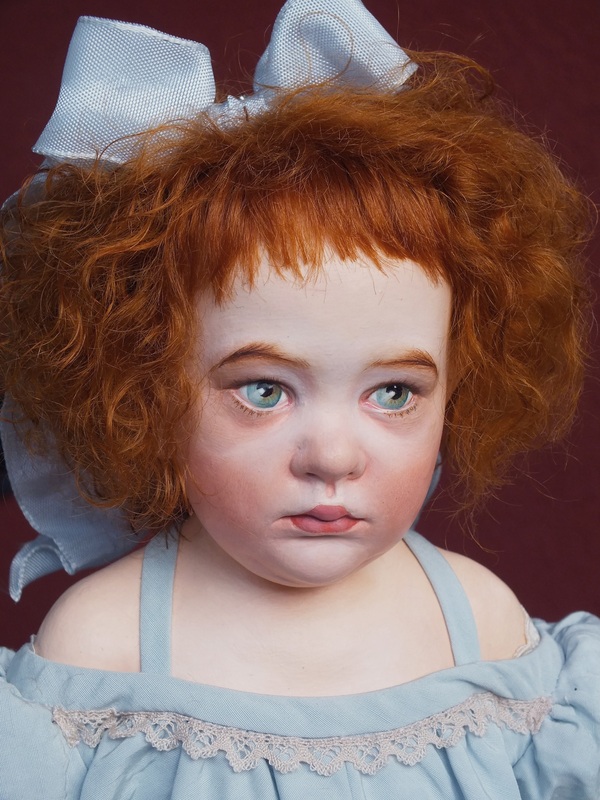 The doll is painted with fine oil colours. 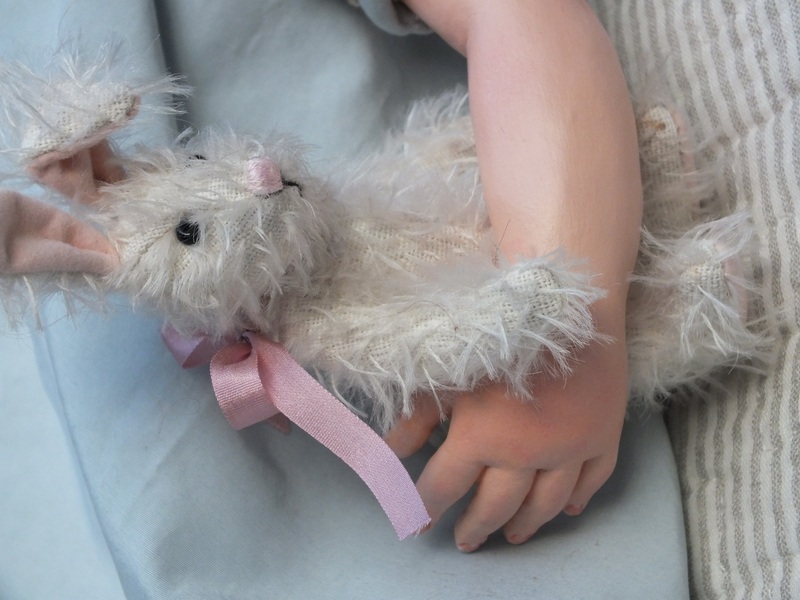 All clothes are hand made by Beatrice.